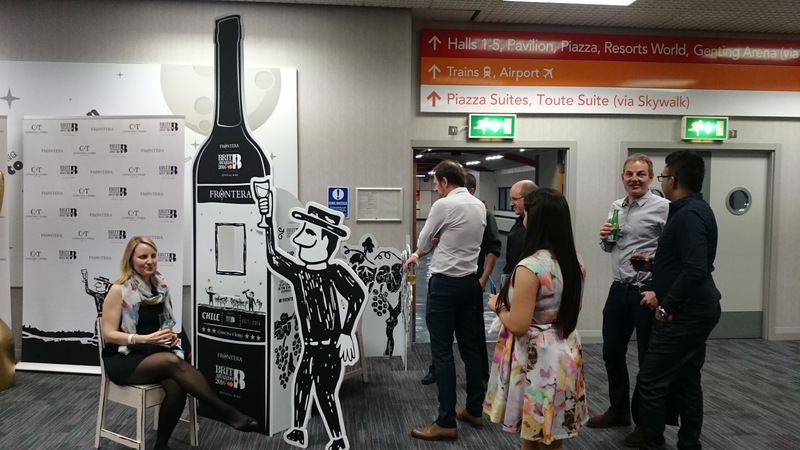 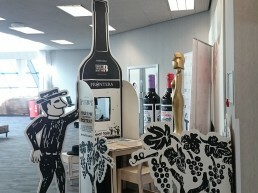 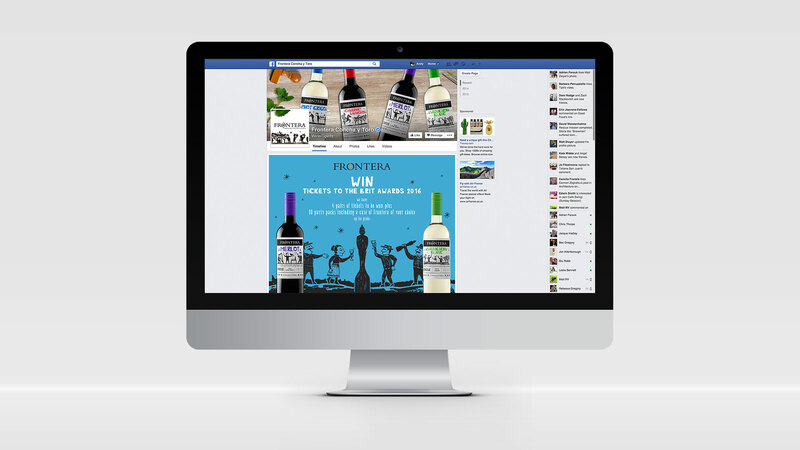 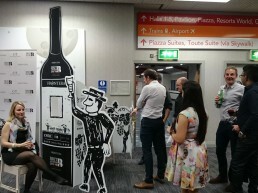 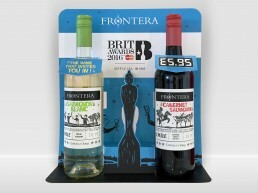 Frontera – The world’s No 1 Chilean wine brand was looking for a way to raise its profile in the UK and connect with the younger wine shopper & consumer. 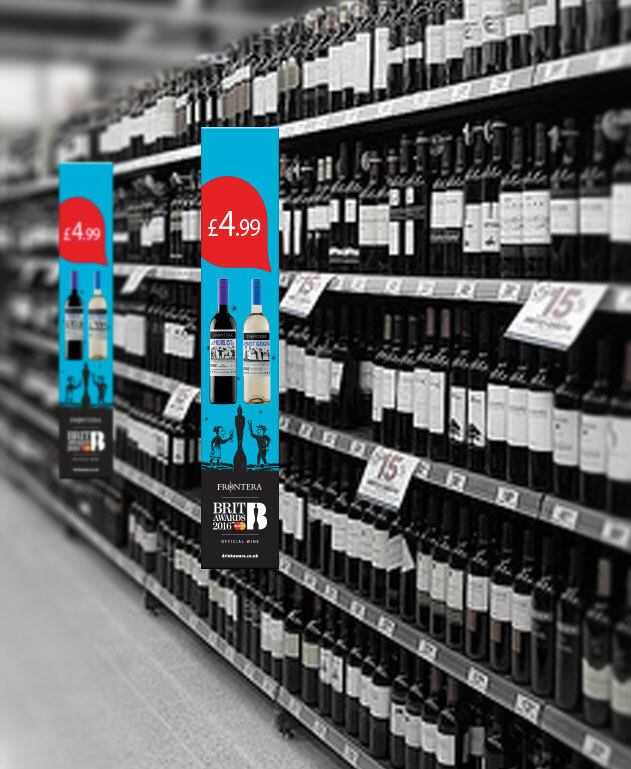 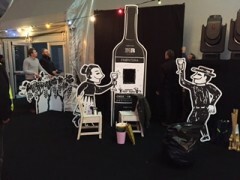 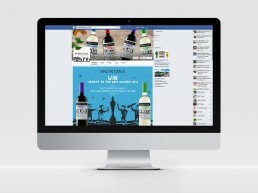 We needed a big idea that would gain distribution as well as capture the interest of our ‘new to wine’ consumers. 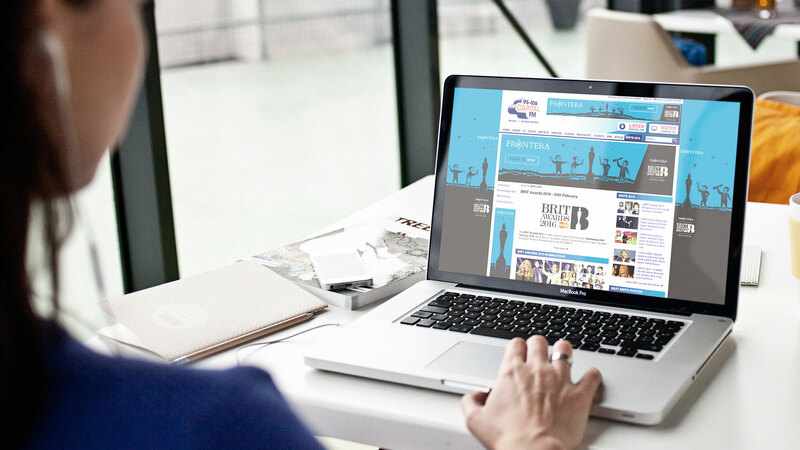 After researching the motivations and interests of ‘Generation Y’ine’ we discovered music indexed exceptionally high on their list of priorities. 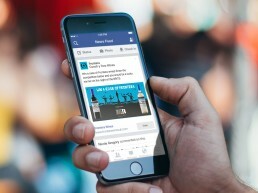 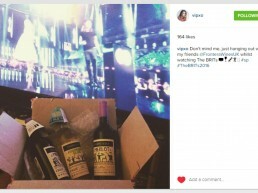 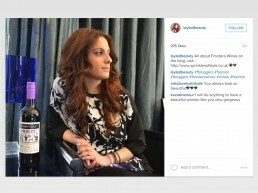 Many brands were already appealing to this audience through festivals. 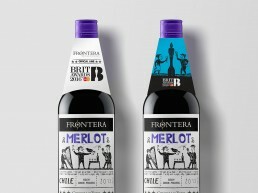 We wanted to be different and we wanted stand out on shelf. 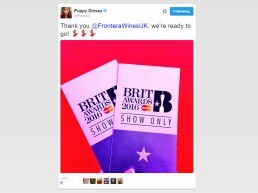 We approached the governing body of music in the UK – the BPI and worked with them to create a new level of sponsorship for the World famous BRIT Awards. 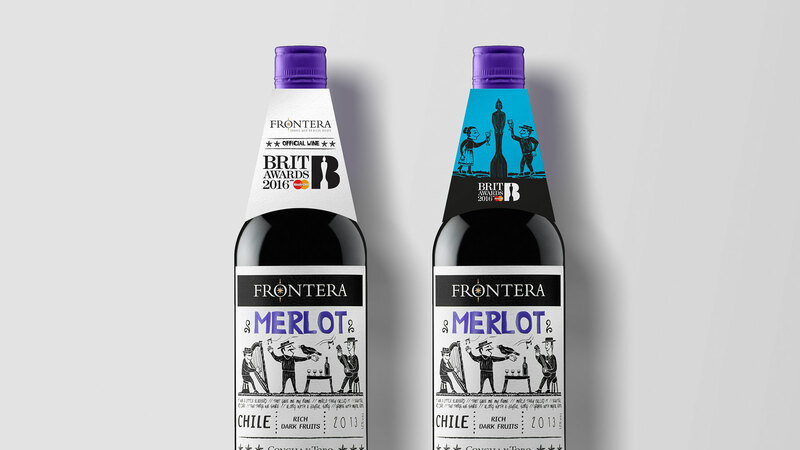 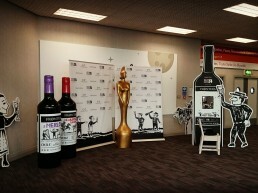 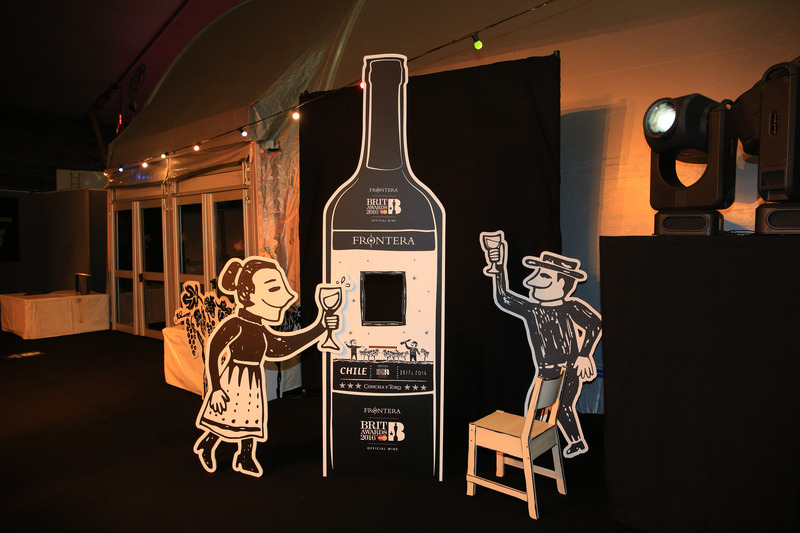 To bring our story to life we fused Chilean art style ‘Lira Popular’ – as featured on the Frontera wine label and a specially commissioned version of The BRIT Award statue. 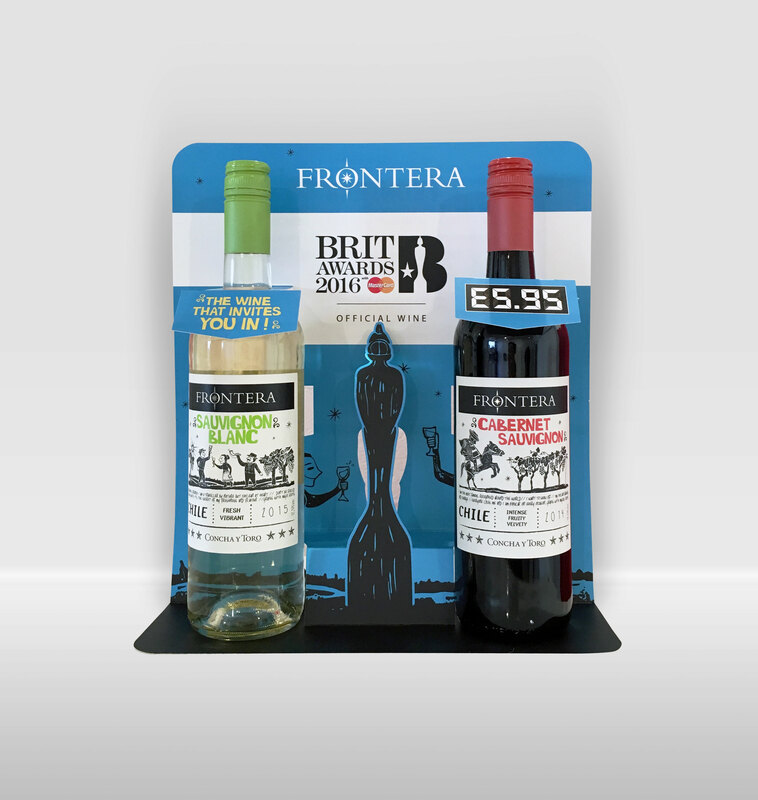 These elements combined with the striking blue of Frontera gave us our bold, clean and clear ‘key art’ that provided great visibility for the brand. 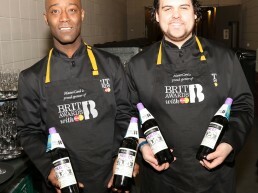 To create standout on shelf we designed a neck collar to clearly communicate the official partnership with The BRIT Awards. 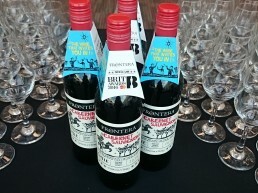 These collars were placed on over 400,000 bottles of Frontera. 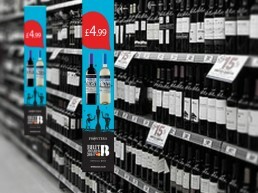 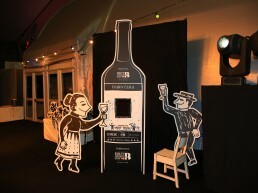 In addition, a range of POS helped drive stand out and awareness of the sponsorship. 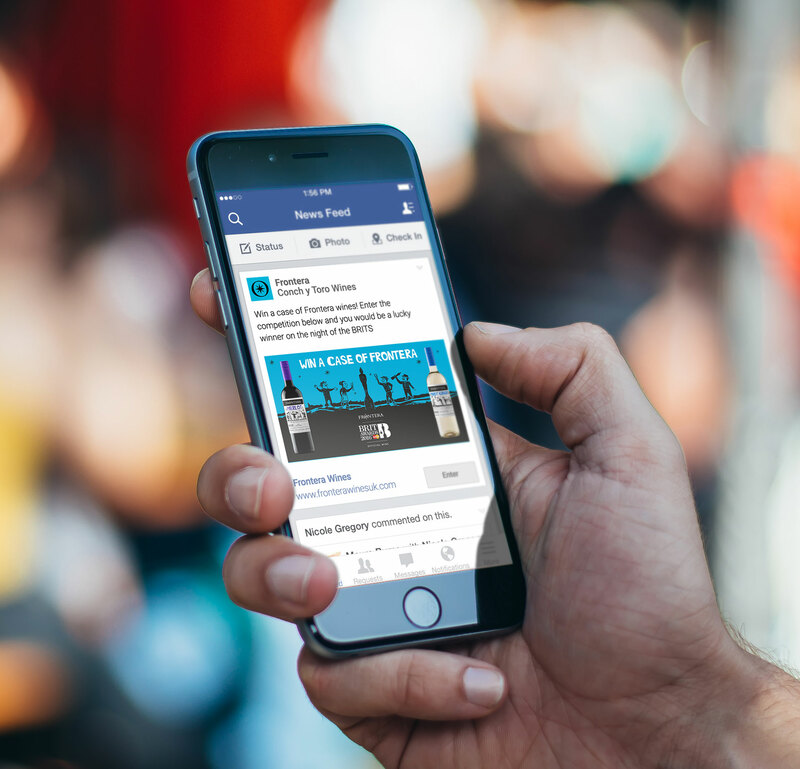 What better way to connect with a music listening audience than partnering with the UK’s No 1 hit music station – Capital FM and the UK’s first urban dance radio station – Capital Xtra. 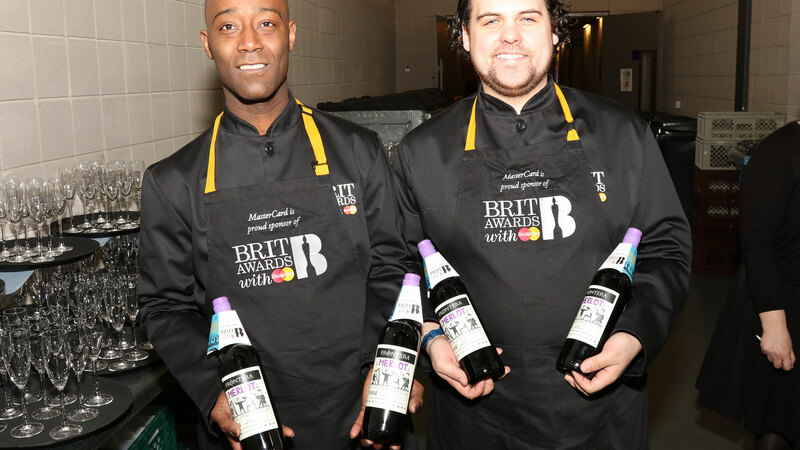 To drive awareness of the sponsorship we created a range of online digital assets showcased as part of the BRITs section of the Capital FM website where all the latest BRIT news, features and gossip were updated. 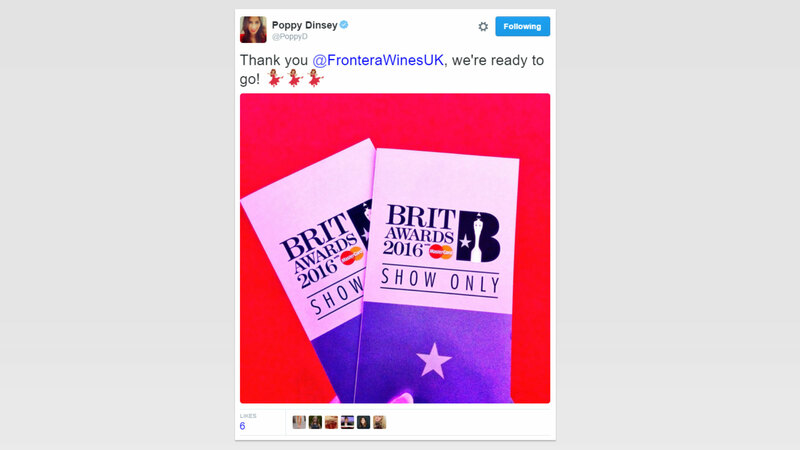 In addition to this, we ran a competition with pre-recorded and live trails offering listeners the chance to win tickets to see a BRIT nominated artist of their choice. 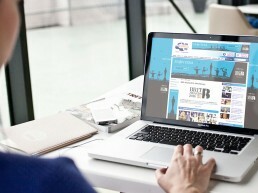 This was boosted with a ‘pod’ in the Capital FM competition newsletter. 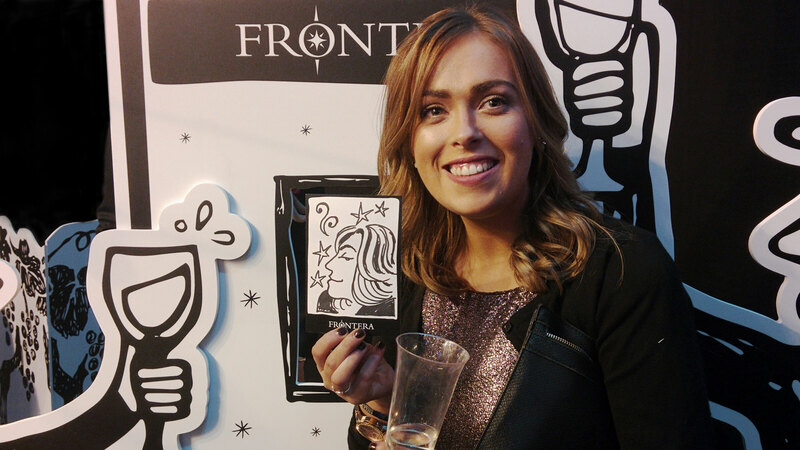 The idea of how to bring the brand to life at The BRIT Awards after-show party was simple – use the ‘Lira Popular’ style to create personalised portraits. 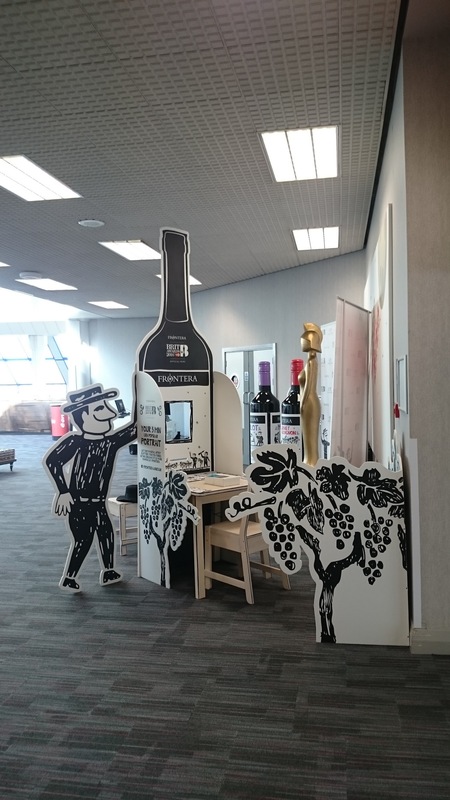 We created a bespoke stand that would attract attention and offer a lasting experience of this once in a lifetime opportunity. 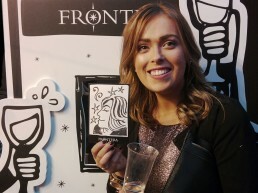 Guests were simply asked to take a seat in front of our resident artist who sketched their portrait ‘Lira Popular’ style. 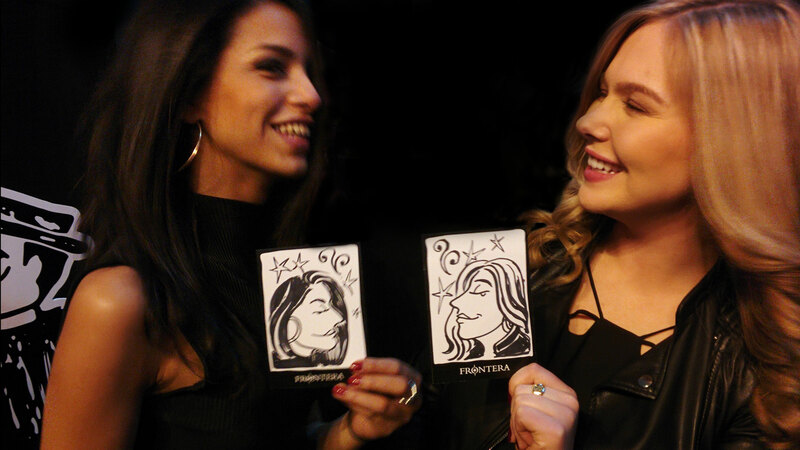 Each guest was handed their portrait on a branded card as a memento of the night. 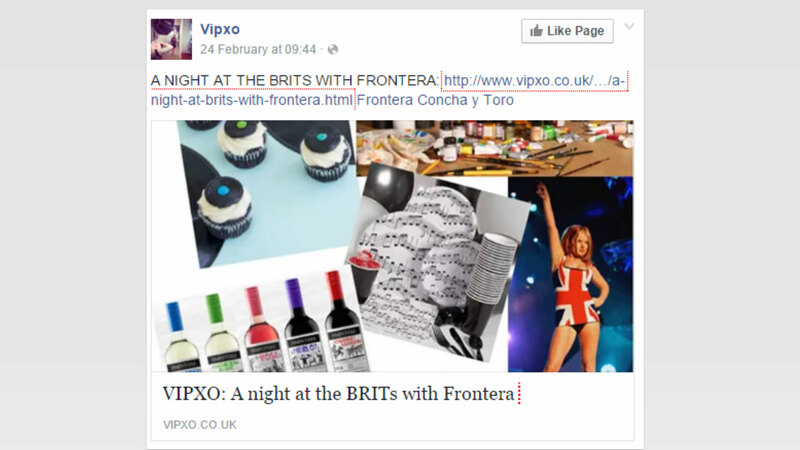 To gain further awareness of the BRIT sponsorship and to drive advocacy of the brand we enlisted the help of a number of bloggers. 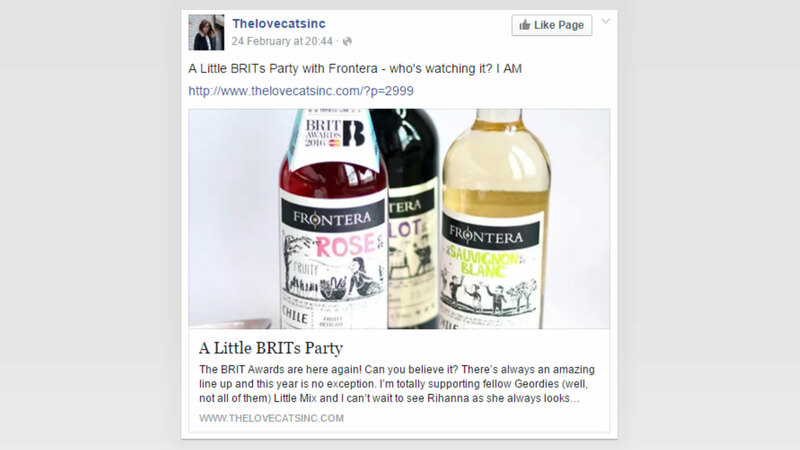 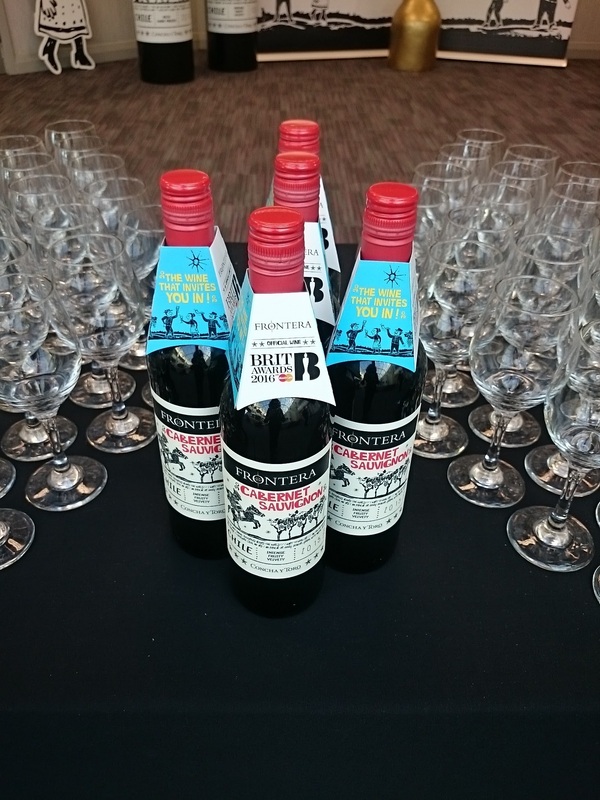 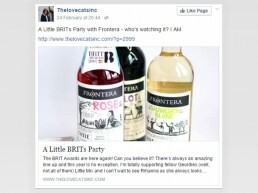 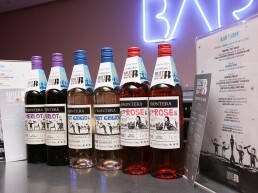 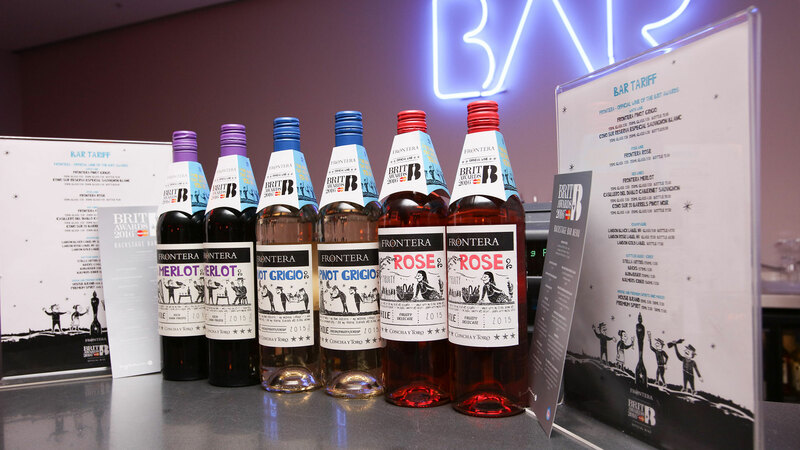 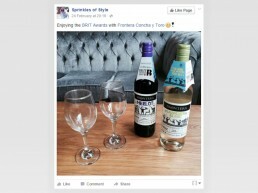 Each blogger was sent a case of their favourite Frontera wine to enjoy pre-event and write up their thoughts on the perfect BRIT party night in. 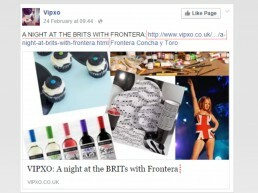 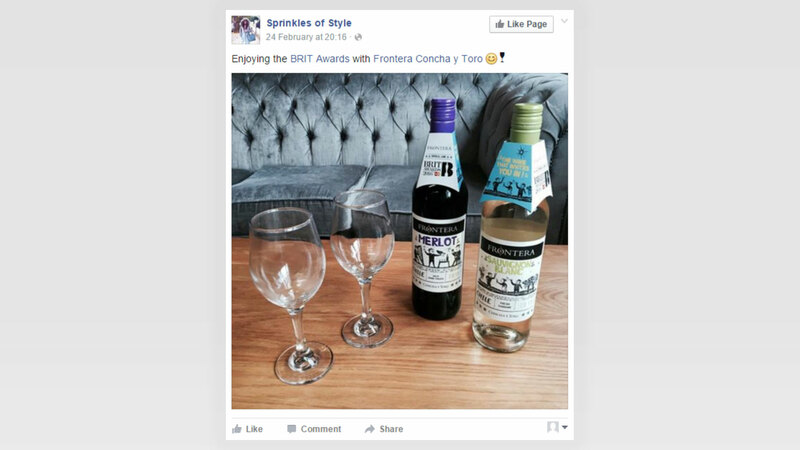 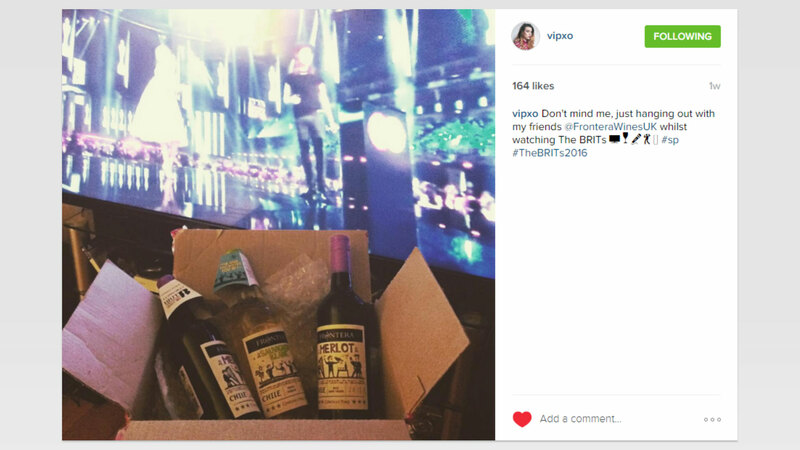 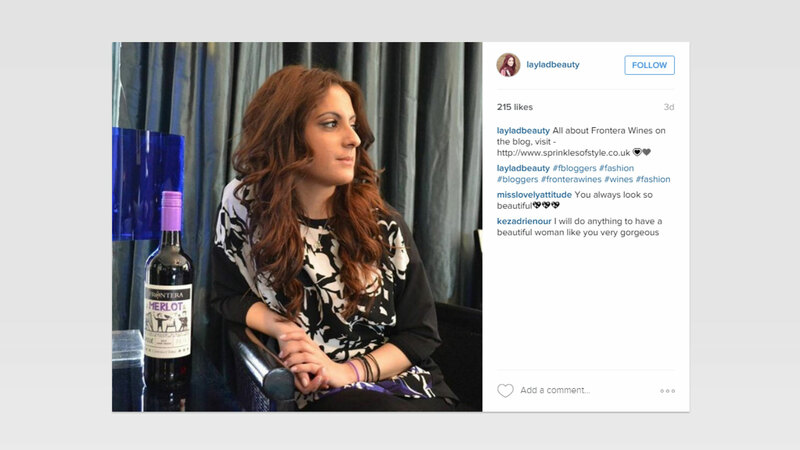 Two lucky bloggers were guests of Frontera at The BRIT Awards itself and shared their content and story socially as well as on their blogs. 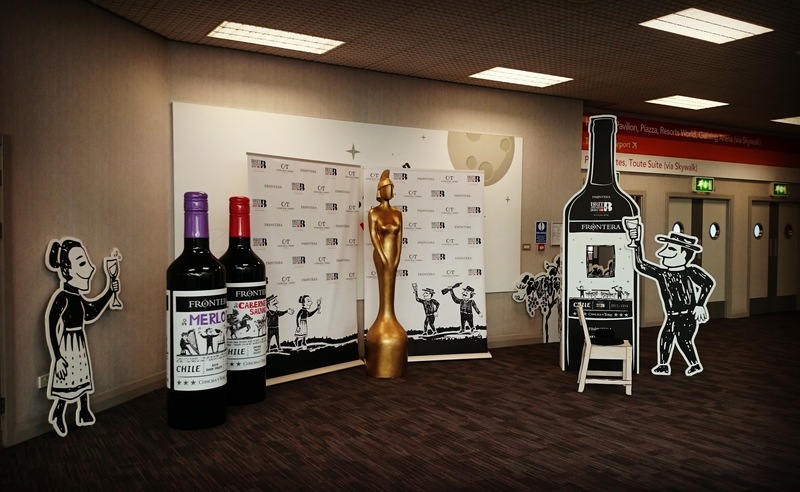 In order to highlight the BRIT sponsorship to as many trade customers as possible, we’ve taken our artist on tour to events such as the Association Convenience Stores and Drinks at Home. 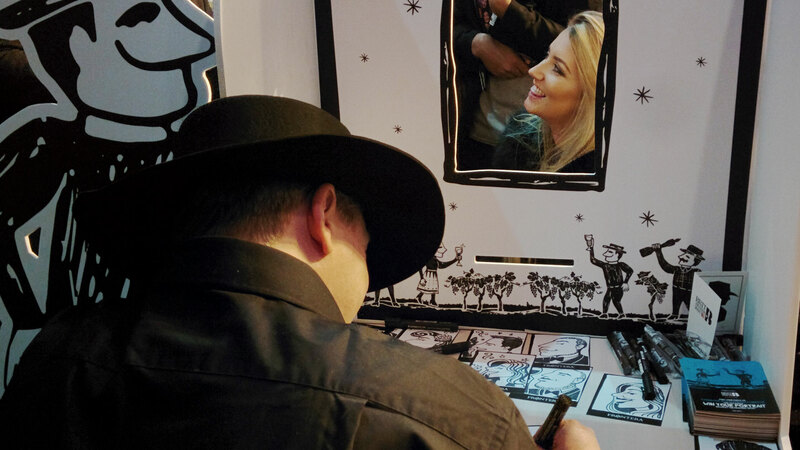 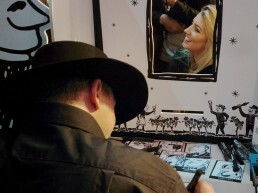 Here the BRIT after-show party experience is re-created for Trade customers who are invited to sit for their own ‘Lira Popular’ portrait – all in the name of a bit of fun!